Dancing has come a long way in the last few decades but the dancers are still faced with a lot of stereotypes that they must overcome. In most of the societies, dancing is looked on as an activity taken on by those who are lazy especially if it is in regard to men in spite of the amount of work that is put in for one to become an accomplished dancer. 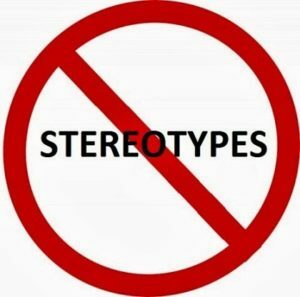 Stereotypes in dance are predominantly related to gender, race and sexuality. In ballet especially, there are a lot of beliefs on what the dancer is supposed to be in relation to body shape and color. These stereotypes are wrong and dancers should be judged purely on their abilities as individuals. These perceptions have in a lot of ways been perpetrated by the media especially today where different outlets are available to people. Movies are released that pertain to dance and the presentations made are taken by the general populace on face value. If these ideals are incorrect, then the public is misguided. Swansen (2015) talks of how most boys are careful not to be engaged in dance especially ballet due to the gender expectations as well as stereotypes that revolve around the dance. Rarely are there cases of fathers taking their sons for dance classes due to misguided notions of masculinity that portray male dancers as homosexual. According to Miss Patti who owns a dance studio, the number of boys in the dance classes is still very low. While it’s true that some of the men who dance ballet are gay, others are not but simply like the dance and are good at it. Ballet dancers are especially portrayed as white with curly hair and slim bodies. Dembling (2016) talks of Misty Copeland who is the first black woman to be named as the principle in American Ballet Theatre. Ballet had often been described as a white supremacy battalion. Copeland’s life was examined in a documentary to show case her accomplishment especially with consideration to the race and body image issues she had to first overcome. One of the most popular dance movies is Black Swan, a ballet movie that depicts the dance as brutal. Phillips (2011) revises how ballet is portrayed as competitive with the dancers being obsessed with perfection of their bodies. There seems to be a classical image that the dancers’ bodies must fill in terms of the hip and breast size as well as the length of the legs. If the dancers don’t meet this criterion they are thrown out. The media has played into the stereotypes as evidenced in this movie. Those who watch the movie believe it’s a replication of today’s dance world perpetrating the stereotypes. In order to overcome the stereotypes that are associated with dance, the media needs to be involved with a change in message being communicated in order to portray the current reality of the dance experience. The media has the ability to reach millions of people especially through movies as they are able to give the audience a more detailed picture of dance. Gottschild (2004) examined whether race was still an issue in dance. She examined the black dancing body which had often been a problem especially in Ballet as it did not fit the classical image of perfection. She found that today the concept of black or white dancing body no longer exists but people have fought against such stereotypes and are now more appreciative of the spirit and soul of those dancing. As such the reality is quite different from what the media often portrays. One of the advantages of using the media to overcome the stereotypes is that the media also stands to profit even as a positive message is being put across and therefore the logistics costs are taken on by the media houses. The emphasis should be placed on the skills and abilities of the dancers instead of their race, body size or sexual orientation. Dembling (2016) states that a documentary had been done on Copeland showing information on her background and struggles in order to help viewers fully appreciate her accomplishment. A similar documentary could be done on the different accomplished dancers from different races and with different body shapes and sizes showing the amount of work they put in to become accomplished at it and feature different male dancers who are heterosexual in order to overcome the different stereotypes. The media is the best channel to show the athleticism of males and therefore would be effective in fighting the pre-existing notions of masculinity and dance as recommended by Miss Patty. Another advantage of using the media in addressing the stereotype is that they can get a larger audience and therefore education of people would be better accomplished. Most media outlets whether newspapers or magazines are respected and the readers expect that with the research done on the news, the information being passed on is accurate. The media personnel would have to be exposed to the different aspects of dance and allowed to access all necessary information in order to produce information that is accurate and informative. However, using the media as a tool to fight the stereotype attached to dance has its disadvantages. In using movies especially, one must be conscious that this is an entertainment industry and considering the amount of money invested, the media company must be able to recoup the investment. As such, some of the information is fictional as the idea is to keep the audience entertained even as they learn different principles. As such, it would be a struggle to ensure the information that is conveyed is as accurate as possible. In addition, Bloom (2010) states that it takes years of training to be an accomplished dancer and yet most actors have to do it in a few months. As such, the movies cannot fully portray and appreciate what makes a ballerina or dancer and the effort they have to put in. With the growth of social media, it is now also easier to fight stereotypes as people are writing blogs and sharing information through the social media accounts. With the televised competitions being organized that involve dance, it is important to ensure the dancers represent themselves as they wish to be seen. In most cases the media coverage is live and therefore the dancers and the event’s organizers have a lot of control on what the audience sees. In terms of movies, it’s important to help the script writers who are doing research get the accurate information. These platforms can take months or years to produce the desired content but the logistics largely lie with either the producing companies or the event’s organizers. However, different national and international papers have art features and are willing to publish the pieces as long as the content can attract the attention of the audience within a shorter timeframe. The recommendation is that dancers should also actively participate in reshaping the image that people have on them. The different social media outlets give the dancers a voice and the reality TV shows on dance give them a platform to present themselves the way they wish to be seen. Waiting on a movie to portray the situation as it is may take a long time though it is feasible. The different platforms such as blogs and twitter pages allow the dancers to educate people on who they are and how they wish to be perceived in real time and with little effort and cost. In conclusion, there are a lot of stereotypes that dancers have to overcome in regards to race, body image and sexuality and the media has played a role in creating these perceptions. However, the media is also a tool that can be used to correct these misconceptions through publications on papers, movies, documentaries, televised dance events and reality dance shows. In addition, dancers can actively participate in correcting these misconceptions by properly representing themselves in real life events and also by using the different social media sites. Arlene Phillips. Is The World Of Ballet As Brutal As Black Swan Portrays It? Ex-Ballerina Arlene Phillips Gives Her Verdict. DailyMail. January 2011. Arlene is an ex ballerina who reviewed the Black Swan to give her opinion on how accurate the movie was in depicting the real situation when it comes to ballet dancing. She started dancing ballet at three years old and is now a renowned choreographer and director of Broadway musicals. Being 72, Arlene has a lot of experience in dance and therefore has authority in this artistic topic. Brenda Dixon is a professor at Temple University and also a senior editor at Dance magazine. This article was the third in a trilogy on the history of dance. She is a cultural historian, choreographer and anti- racist cultural worker. She is known to have used her dance background as well as her authority as a professor of dance to raise pertinent questions on racism and gender. Sophia is a regular contributor to Success. She based her article on the autobiography written by Misty Copeland as it focused on her to a large extent. She also did extensive research from other sources on the life of this dancer as she is considered a trendsetter in ballet by many. She has written a number of books that are acclaimed. Julie is a writer for the New York Times, a respected newspaper with an audience across the world. She has since been named the culture editor of the International New York Times. Over the years she has gained a reputation for her expertise in matters relating to culture with a lot of focus being given to her understanding of dance. In 2011, she oversaw the dance coverage for the New York Times, reviewing and assigning different reviews, new stories and features.